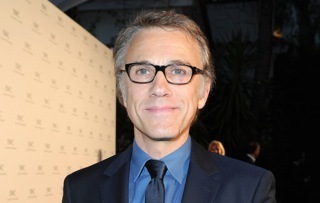 German-Austrian actor Christoph Waltz will attend the Zurich Film Festival. The two-time Academy Award winner will arrive in Zurich on Saturday, September 26 for a packed programme of activities. Waltz will present the Filmmaker Award of the Association for the Promotion of Film in Switzerland. Furthermore he will hold a keynote conversation at the Zurich Summit (which takes place in association with the ZFF and IWC Schaffhausen), and strut the Green Carpet for press and public before presenting the Special Screening of Quentin Tarantino’s INGLOURIOUS BASTERDS at the corso cinema. Established in December 2014, the Association for the Promotion of Film in Switzerland will award its first 100’000 Swiss-franc endowed prize to one or more Swiss filmmakers whose projects are currently in the late production or post-production phase. In addition to distributing the prize money, the Association’s jury, whose members are director Marc Forster, IWC CEO Georges Kern, ZFF Co-Director Karl Spoerri will also honour the winner with the award. Swiss filmmakers were able to enter their cinema projects for the first time this spring in a bid to win the prize. Films and documentaries of at least 60 minutes in length requiring late production or post-production financing could be entered. Christoph Waltz lives in Los Angeles and Berlin. He studied acting at the Max Reinhardt Seminar in Vienna and the Lee Strasberg Theatre Institute in New York. After beginning his career on stage, Waltz went on to appear in such TV thrillers as DERRICK, DER ALTE and POLIZEIRUF 110, before appearing in his first feature film in the 1990s. He garnered numerous awards, including an Oscar and Golden Globe, for his role as an SS Officer in Quentin Tarantino’s INGLOURIOUS BASTERDS. Waltz has since appeared in Roman Polanski’s CARNAGE and Quentin Tarantino’s DJANGO UNCHAINED, a role for which he garnered his second Oscar and another golden Globe. He will appear in a further leading role in the new James Bond film SPECTRE, which will hit cinemas in November this year. Christoph Waltz’s star has been on the Hollywood Walk of Fame since 2014.